May 25, 2017 – On New Year’s Day 2019, more than 4 billion miles from home, NASA’s New Horizons spacecraft will race past a small Kuiper Belt object known as 2014 MU69 – making this rocky remnant of planetary formation the farthest object ever encountered by any spacecraft. The mission team has 22 new, portable 16-inch (40-centimeter) telescopes at the ready, along with three others portables and over two-dozen fixed-base telescopes that will be located along the occultation path through Argentina and South Africa. But deciding exactly where to place them was a challenge. This particular Kuiper Belt object was discovered just three years ago, so its orbit is still largely unknown. 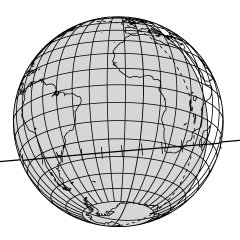 Without a precise fix on the object’s position – or on the exact path its narrow shadow might take across Earth – the team is spacing the telescope teams along “picket fence lines,” one every 6 to 18 miles (10 or 25 kilometers), to increase the odds that at least one or more of the portable telescopes will catch the center of the event and help determine the size of MU69. 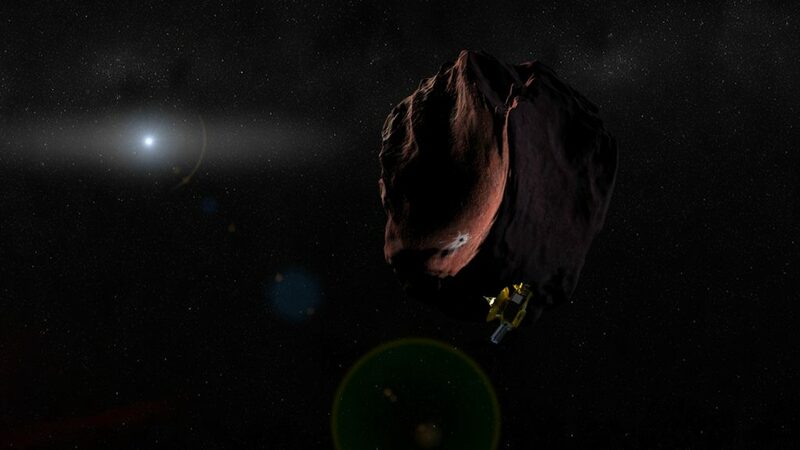 The other telescopes will provide multiple probes for debris that could be a danger to the fast-moving New Horizons spacecraft when it flies by MU69 at about 35,000 miles per hour (56,000 kilometers per hour), on January 1, 2019. 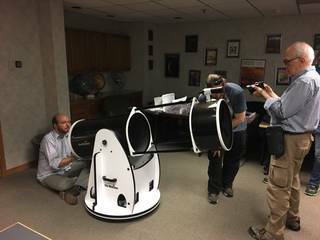 The team gets help from above for the July 10 occultation, adding the powerful 100-inch (2.5-meter) telescope on NASA’s airborne Stratospheric Observatory for Infrared Astronomy (SOFIA). Enlisting SOFIA, with its vantage point above the clouds, takes the bad weather factor out of the picture. The plane also should be able to improve its measurements by maneuvering into the very center of the occultation shadow.